Amy Winehouse was a five-time Grammy Award-winning English singer-songwriter known for such hits as 'Rehab' and 'You Know I'm No Good' among her other works. She was born Amy Jade Winehouse, on September 14, 1983, in Enfield, London, England to a Jewish family with Russian ancestry on her mother's side. Her father, Mitchell Winehouse, was a taxi driver; her mother, Janis Winehouse (nee Seaton), was a pharmacist. Her family shared her love of theater and music. 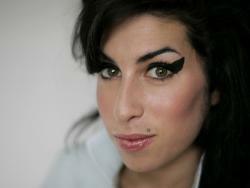 Amy was brought up on jazz music; she played her brother's guitar and received her own guitar at age 13. Young Amy Winehouse was a rebellious girl. At age 14, she was expelled from Sylvia Young Theatre School in Marylebone, London. At that time she pierced her nose and tattooed her body. She briefly attended the BRIT School in Croydon, and began her professional career at 16, performing occasional club gigs and recording low cost demos. At age 19, she recorded her debut, Frank (2003), a jazz-tinged album that became a hit and earned her several award nominations. During the next several years, she survived a period of personal upheaval, a painful relationship, and has been struggling with substance abuse. Her 2006's album 'Back on Black' was an international hit, and 'Rehab' made No. 9 on the US pop charts.